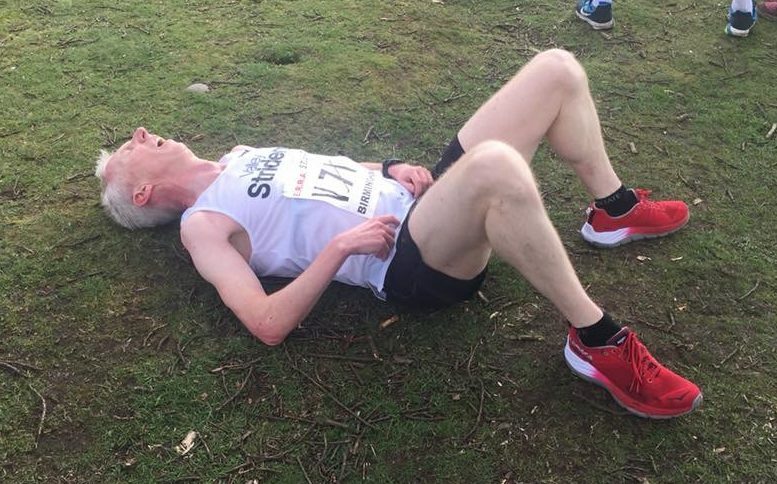 Although I ramble on about running as well as other random topics, one thing that I don’t want this blog to become is a moanfest about injuries, or any other problems I have encountered for that matter. Injuries are an occupational hazard for all runners and so far I have managed to stay on the luckier than most side of equation. However, for a couple of weeks, I have been struggling with achilles tendonitis – causing me mild to moderate pain. I have been self-treating the problem by doing lots of heel drops and by wearing an icepack around my heel most evenings, together with a bit of self-massage (exclusively on my achilles I hasten to add). I have found that after a couple of days, the pain abates and I can go running again, so I have been out running every two or three days. However, on the day following a run, my achilles is usually too sore to run. I am stuck in a seemingly endless loop. Even just writing the few sentences above make it patently clear that I really need to stop running for a week or so in the hope that the problem will clear itself up. So I will. With record rainfall in the North of England during December and January, the course could be described as being a little on the heavy side. Well, actually it was a bloody quagmire in places, but that made it more fun. I am a great believer in the need to be mentally strong in order to perform well in races. Unfortunately, given my on-going achilles issues, I wasn’t even sure whether I would, or indeed should, run. I chewed it over in my mind, lurching from “no, I mustn’t run, I might make the injury worse”, to “just toughen the f*ck up you wimp and get on with it”. In the end, I decided on a typical pathetic compromise –I would go along, do the warm up and then decide if I felt OK to run. Having got ready, travelled an hour to the venue with my team-mates Gary and Hannah, got soaked whilst checking that a flood was safe to drive through, met and chatted with club-mates and then put my new spikes on and stripped to my vest, I was always going to run, so I did. I knew the standard would be high. My only experience of a race of similar quality was the Northerns last year when I finished well into the bottom half of the field. I told myself that a top half finish would be an OK result. The starting pens were narrow and very crowded. I was anxious not to impede any of my faster team-mates, so I went towards the back of our pen. The start was a farcical. There were nearly 300 in the field and the course started with a short 80 metre straight and then a narrow right hand turn. Without any warning, and a minute or two ahead of schedule the gun fired and the race started. I couldn’t have gone off hard, even if I had wanted to. I was reduced to a walk and then a complete standstill at the first bend, stuck behind a mass of other runners. It may have been a blessing, because 10.6 kilometres in deep mud is a tough test. I spent the first couple of laps passing other lads, trying to establish my rightful position in the field. I ran the first three miles in around 6:50 each. The course comprised four and a half laps and by the third big lap I was feeling it. If I were a racehorse, I would not be suited by heavy going. Some athletes just seem able to glide or skip through the mud, but there must be something in my running mechanics that doesn’t work well in soft ground. I was floundering and getting slower. I conceded a few places meekly during the last lap and a bit, eventually grovelling home in 133rd place out of 269 finishers, so amazingly I just scraped my goal of a top half finish. Although I enjoyed the event and I ran hard, I felt a little hollow because I know that I wasn’t mentally tough and 100% on it. I have an entry in the Inskip half marathon next Sunday, as I write this, I have no idea whether I will be able to start. If I do, I’ll have fairly low expectations given the low mileage over the previous three weeks.